Subtitle: The long-awaited "Mark of the Beast" will be the latest in a 3,000-year-old tradition of "Satanic Thorns In The Flesh", i.e, inserts under the skin! Satan has been marking his followers and his victims with these inserts for over 3,000 years! I am going to quote extensively from a book by a Christian whose ministry has been to deliver people from Satanism -- Dr. Rebecca Brown, MD -- entitled, "Becoming A Vessel Of Honor In The Master's Service". 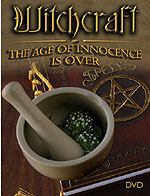 In this book, Dr. Brown describes the many practices of Satanism designed to enslave and control its practitioners, and to destroy their enemies. In her chapter entitled, "Demonic Wounds", I was shocked when I read that Satanists make extensive use of physical inserts, placed into the bodies of their adherents. Almost immediately, I recognized the possible applicability to the Mark of the Beast in Revelation 13:16-18. While I am aware that Rebecca Brown has great problems with her theology, she does describe Satanism very well; I have verified her description of Satanism with former Satanists, Doc Marquis and Cisco Wheeler. Therefore, when I quote her material, I am doing so only on the basis of her detailed knowledge of Satanism and its practices, without supporting her theology. In Seminar 1, "America's Leadership of the New World Order", we show that the Veterinarian Industry has perfected the use of inserts into the skin for animal control and identification. This practice is now being advertised heavily so as to convince the people that it is a good and normal thing to do. Indeed, while there is no Biblical warning against inserting a transponder into animals, it seems to me to be perfect conditioning to get people ready to accept a similar insert into their skin. Let us now examine the use of inserts into people by Satanists and then determine whether Antichrist, who is foretold to be the most powerful of all Black Magick witches in world history, just might consider the Mark of the Beast to be the ultimate Satanic "Insert". We shall print all of Dr. Brown's quotes in blue , in addition to placing them with quotation marks around them. Let us stop here for a moment to consider the shocking information we have just received from this doctor who has ministered specifically to people coming out of Satanism through the glorious work of Jesus Christ. Prior to an insert being placed into the body, it has received an incantation or a spell that attaches a demon to the insert ! Thus, when a person receives such an insert, they have just received a demon into their body, somehow magically, supernaturally attached to the insert! If Antichrist used this type of insert, placing it into the right hand or the forehead of the peoples of the world, he would have a most powerful tool by which to control all the people from that moment on! Perhaps this is the major reason people worship Antichrist so completely, and resist the Divine Judgments designed to bring them to repentance. Suddenly, I more completely understand the Great Tribulation Period a whole lot better, don't you? These inserts are also called "splinters", as many times, a wood splinter is cursed before a practicing Satanist shakes the hand of his victim, causing cursed wood splinter to be inserted supernaturally into the victim's without causing any blood wound. Is this the "thorn in the flesh" of which Paul speaks? Let us review that Scripture. I believe that God allowed Satan to insert a "thorn in the flesh", i.e., a Satanic splinter which Satan then used for the rest of his life to cause Paul as much pain and suffering as God would allow. Paul described the effect of this "splinter in the flesh" for us, in this Scripture! "...a thorn, a splinter in the flesh, a messenger of Satan, to rack and buffet and harass me, to keep me from being excessively exalted." THAT is precisely what an insert, a splinter, is designed to do in the life of a believer. Even if God allowed a servant of his to receive this "splinter" from Satan, that splinter could not kill the saint; it could only "rack and buffet and harass". I think it is high time for the Christian community to re-visit what Paul 's "thorn in the flesh" truly was. We are convinced that it was a "Satanic insert", a Satanic thorn or splinter. Dr. Brown then describes a very special type of "insert", called push-pins. "They are tiny metal pins which are inserted under the skin in a special ritual. Demons are attached to the pins for various functions ... They enter the person when the pin is inserted ... they function as a sort of radar homing device ... and also for purposes of destruction. The demons associated with the pins are supposed to destroy the person if he or she ever leaves the craft." [Ibid., p. 30] In Seminar 1, as we describe the effects and the capabilities of the most modern human transponder, we stated that it would be both a passive transponder and an active homing device that could keep precise track of the whereabouts of everyone in the world at any particular point in time. We speculated that, since the Kingdom of Antichrist is prophesied to be the most repressive and the most controlling in world history, such a homing device implanted under the skin of everyone on earth would make a lot of sense. Yet, here, we see that Satanists have been using such devices for years, powered by Satanic witchcraft! Satanists are always on their guard against anyone coming out of the Craft, especially by means of becoming Born Again through Jesus Christ. As Dr. Brown explains, the only way these inserts can be eliminated to cancel the power they exert through demonic possession, is through prayer, application of oil and lots of faith. Through this combination, the Lord Jesus Christ literally burns the inserts right out of the skin, frequently causing it to rise through the skin where it can be removed by metal tweezers. However, God can also decide to not remove the insert, as He repeatedly refused Paul's requests to do just that! As I read this paragraph, I was startled beyond belief. For many years, I had struggled with the concept that, when Antichrist arises, the huge majority of the peoples of the world shall follow him like lemmings follow each other over a cliff. How can this be, especially in a technologically advanced country like the United States, Canada, Australia, or Europe? Now, I can better understand this dilemma; if huge numbers of people, in every continent in the world, possess Satanic inserts in their body at the time of the appearance of Antichrist, they will be under the influence of at least one demon, if not more. These demons could then exert a powerful force, or influence, over the thinking and the emotions of the person in whom they cohabit. Thus, the demon(s) inhabiting tens of millions of people worldwide will rise up to demand that person follow Antichrist; or, more likely, the demon(s) will cause that person to have tremendous feelings of love and devotion for Antichrist, thus making their loyalty that much easier. For a decade now, I have struggled with the realization that people who are New Age adherents and who have received their own "Guiding Spirits" are demonically possessed. These "Guiding Spirits" are nothing more than demons, even though the New Ager has no concept they are possessed. They are both possessed and deceived! 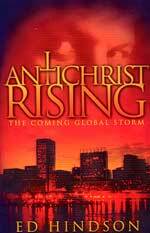 Since the New Age Movement claims that more than 30 million Americans are practitioners, the impact of a demonically possessed minority of the population at the time of the appearance of Antichrist is potentially huge. But, now, I discover the truth of the matter is far larger, since so many people can have these type of Satanic inserts. Dr. Brown continues to describe the extent of this disaster called "Satanic inserts". "I think it is no accident the gay movement has popularized ear rings for men. What effect does the placement of such ear rings have in a non-homosexual young man? I would be very concerned about this if I were a young man. I am not saying that all jewelry is demonic. However, some of it is." If the person performing the piercing of the ear, or the eyelids, or any other part of the body, is a Satanist, he could have previously "blessed" each "insert", so that, unbeknownst to the recipient, demons are ritually attached to the insert. That young man or woman could then be under the influence of the demon, without realizing it! This is also the main danger of hypnosis , as the person performing the hypnosis has the entire mind of the recipient totally under his control, and can ensure that the recipient does not remember anything done or said while they were under the hypnotic spell. Thus, the popularity of hypnosis potentially offers Satan great opportunity to spread his influence among the population. 2. Curse-pins -- very similar to push-pins, but more specific in purpose. They are always designed to hurt, or to kill an enemy. Prior to implementation, they have been cursed specifically in a ritual. Push-pins may be designed only to influence or to deliver less than killing destruction. However, curse-pins are designed to kill. "Also, I heard from some higher craft members who have just recently come to Jesus, that these computer chips will be placed in driver's licenses and credit cards in the near future ... Are these micro-chips the 'mark of the beast'? I think they very well could be ... Please note, Scripture says the mark shall be received IN the hand or forehead, not ON. Could this be because the Lord knew an insert would be used rather than a simple surface mark? I suppose you could say that the 'mark of the beast' is the ultimate insert." Once again, we can see such great evidences that our society is being conditioned to accept the Black Magick Satanism of Antichrist. It seems like we see "inserts" everywhere in our society today. We see ear rings galore, plus rings in the nose, the eyelids, the tongue, the bellybutton, and some even in the private parts. If the person who is inserting these devices is a practicing Satanist, you could very well be at least afflicted and maybe demonically possessed without even being aware of it. Remember, while no one who is indwelt and controlled by the Holy Spirit can be demonically possessed, the unbeliever has no such protection. Anyone who gives assent to be pierced gives Satan and his demons the "legal ground" they need to come on in and possess you. Finally, remember that demonic possession does not generally give a person that uncontrollable falling down and writhing behavior most people associate with demon possession. Most possessed people act very normally most of the time. However, at the time of the demon's choosing, the possessed person will suddenly come under the control of the demon. I think the prime time in history for this sudden control to occur will be when Antichrist arises, and will factor very heavily in the vast majority of the peoples of the world accepting him. At that moment, all possessed people will suddenly be under the control of their demon masters. I certainly believe that every "Mark of the Beast" implantable chip will be ritualistically cursed -- probably in batches of tens of millions -- before they are sent to the proper authorities for implantation. Therefore, every person who takes this ultimate insert will be cursed and most probably demon possessed! Now, I understand how it is that so many billions of people will fall all over themselves to worship Antichrist. Many will be possessed by different means, but possessed nevertheless. And, when the demon inside says, "worship him", the poor deluded and unsaved human being will comply. I also believe the controversy over whether the Mark of the Beast will be IN or ON the skin may now be resolved. 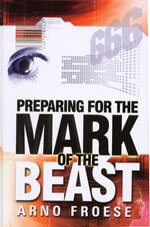 The Mark of the Beast will be just the last in a long line of "Satanic Inserts", and the most effective. Further, it will be backed by the ultimate in Satanic Black Magick power. Truly, the End of the Age is very close.